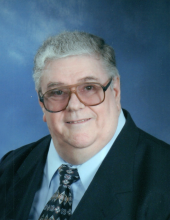 Celebrating the life of Kenneth Lawrence Huggins, Sr.
Obituary for Kenneth Lawrence Huggins, Sr.
Kenneth Lawrence Huggins, Sr., age 78 of Danville, VA went to be with his Lord and Savior, Saturday, December 1, 2018 in Danville, VA. He was born December 4, 1939 in Lebanon, TN to the late Clarence L. Huggins and the late Dovie Walker Huggins. Kenneth was first married to the late Nancy Faye Hamlett, then later to Linda Meissner Huggins who survives of the residence. Kenneth was a member of North Main Baptist Church and a former member of Sheldon Baptist Church. He was the founder of the Whistle Stop Jubilee in Ruffin, NC and the Spring Fling in Providence, NC. Kenneth proudly served his country as a member of the US Army. Prior to his retirement, Kenneth worked for the US Postal Service for 36 years, with 26 of those years as Postmaster in Ruffin, NC and Providence, NC. In addition to his wife, Linda, he is survived by two daughters, Karen Hilton (Allen) and Deborah Atkins (Charles); five sons, Donald Huggins (Renea Bailey), Ken Huggins, Jr., Robert Huggins (Christina), Michael Huggins (Rachael) and Steven Huggins; six grandchildren, Kristen Grabowski (Eric), Emily Hilton, Tyler Hilton, Charlie Atkins, Alex Atkins and Aiden Huggins; a great-granddaughter, Makenzie Grabowski and mother in law, Judith Meissner. In addition to his parents and first wife he was predeceased by three brothers, Joe, Louis and Howard Huggins. Funeral Services will be held 2:00 p.m., Thursday, December 6, 2018 at Norris Funeral Services, Inc., West End Chapel, 511 Church Ave., Danville, VA with the Rev. Fred Unger and the Rev. Dale Herndon officiating. Interment will follow at Danville Memorial Gardens, Danville, VA. Military honors will be rendered by the US Army and American Legion Dan River Post 1097. The family will receive friends 12:30 p.m. till 1:30 p.m., Thursday, December 6, 2018 prior to the service at Norris Funeral Services, Inc., West End Chapel and other times at the residence 602 Lansbury Dr., Danville, VA 24540. Memorial donations may be made to the James R. Meissner, II Memorial Scholarship Fund, Danville Community College, 1008 S. Main St., Danville, VA 24541 or North Main Baptist Church Building Fund, 2818 N. Main St., Danville, VA 24540 or God's Pit Crew, 2499 N. Main St., Danville, VA 24540. Norris Funeral Services, Inc. and Crematory, West End Chapel, 511 Church Ave. Danville is serving the Huggins family. Online condolences may be made at www.norrisfuneral.com. To send flowers or a remembrance gift to the family of Kenneth Lawrence Huggins, Sr., please visit our Tribute Store. DCC 1008 South Main St.
"Email Address" would like to share the life celebration of Kenneth Lawrence Huggins, Sr.. Click on the "link" to go to share a favorite memory or leave a condolence message for the family.